Musical Meditations is an evening of music inspired by the folk song, stories and poetry of the First World War created for audiences today. Sam Lee with Rachel and Becky Unthank. One of the biggest casualties of the First World War was the folk tradition, with many songs, tales and tunes seemingly lost. 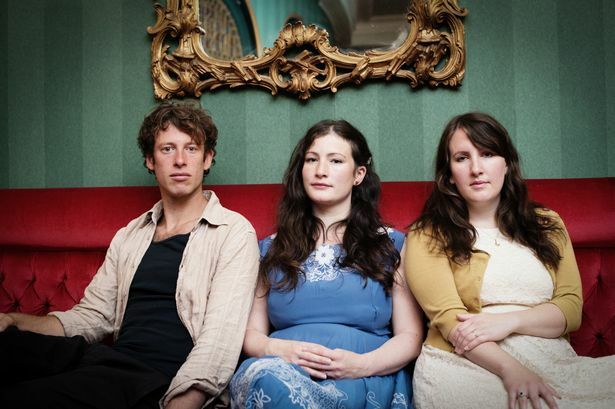 Known for their ability to take traditional repertoire and reinvent it for contemporary ears, folk artists Sam Lee and Rachel and Becky Unthank collaborate for the first time in this poignant project to mark the centenary of the outbreak of the war. The show is being co-produced by Town Hall Symphony Hall, sounduk, Barbican and Opera North. As part of the project’s development, Sam Lee spent time researching the wartime folk songs and personal stories from rural communities in the South-west. In early 2014, as part of a writing residency, he met local people who inherited songs and stories from the First World War – including a 105- year-old lady who remembered a Zeppelin crashing in her local village. This inspired new songs and arrangements which he performed as a “work in progress” in each of the villages, before he developed them further for the main show. Sam burst onto the music scene in 2012 with debut album Ground of its Own, which won the Mercury Music Prize Album of the Year award. Becky and Rachel Unthank have been creating new music set to First World War poetry as well as new arrangements of songwriters from the North-east at the time of the war.